The Colombo Stock Exchange (CSE) is pleased to announce the appointment of Mr. Ray Abeywardena as the Chairman of the Board of Directors of the CSE with effect from 5th May 2017. Mr. Abeywardena succeeds Mr. Vajira Kulatilaka, who steps down as the Chairman on the conclusion of the customary three year term. 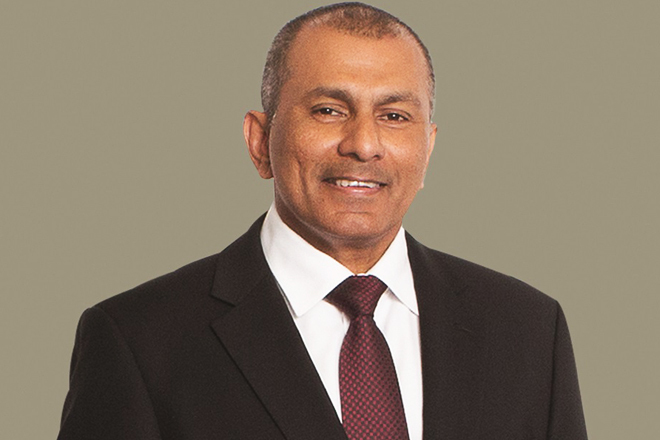 Mr. Ray Abeywardena is the Managing Director of Acuity Partners (Pvt) Ltd and has over 30 years of extensive experience in the Sri Lankan Capital Market, primarily as a Stock Broker and since 2009 as an Investment Banker. Having begun his career as a Trainee Stock Broker in 1986 at Forbes & Walker Ltd, he progressively moved up the corporate ladder and was appointed as the Managing Director of the firm in 1998. In 2001, he was instrumental in setting up DFCC Stockbrokers (Pvt) Ltd and served as Managing Director/CEO of the Firm. With the formation of Acuity Partners (Pvt) Ltd in 2009, he was appointed CEO of the Firm and since 2012 serves as the Managing Director. Mr. Abeywardena has participated in many Investment Forums both locally and internationally and has served on various sub-committees of the Colombo Stock Exchange. He was appointed to the Board of Directors of the Colombo Stock Exchange in 2013 and presently serves on the sub-committees pertaining to Market Development, Risk & Audit and Rules. He is also a past Chairman of the Colombo Stock Brokers Association. Mr. Abeywardena is presently the Chairman of Acuity Stockbrokers (Pvt) Ltd and Acuity Securities Ltd. He also serves as a Director on the Boards of Lanka Ventures PLC, Soft Logic Life Insurance PLC, Guardian Acuity Asset Management Ltd, LVL Energy Fund Ltd and the Central Depository Systems (Pvt) Ltd.
Mr. Abeywardena is a member of the Chartered Institute of Marketing (UK) and holds a Master’s Degree in Business Administration from the University of Wales.